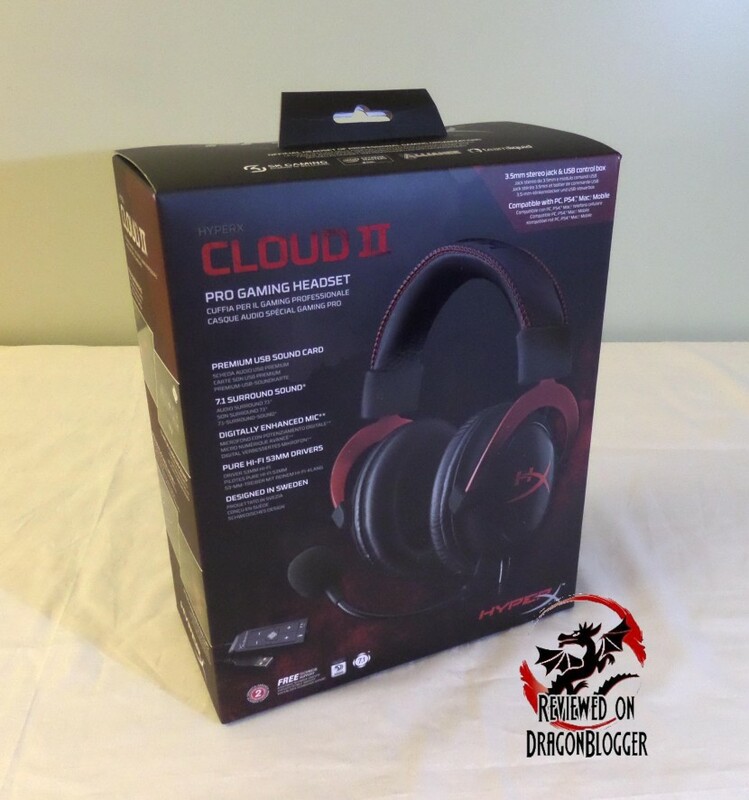 HyperX comes back strong with the release with the HyperX Cloud II hot on the heels of the success of the HyperX Cloud. They have been pumping out quality products for some time now but let’s see exactly is good about these. Let’s start off with the specs. The package brings a bunch of nice things, I was very surprised to see the bag to carry it around, it will carry it all. 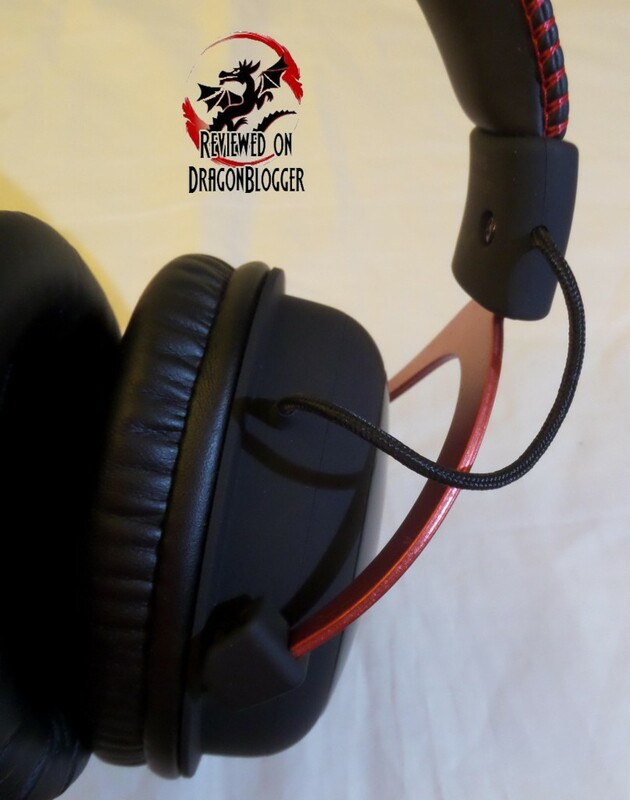 Coming back to the headphones, I think they did an amazing job paying attention to detail with this, from the major details, down to the stitching. 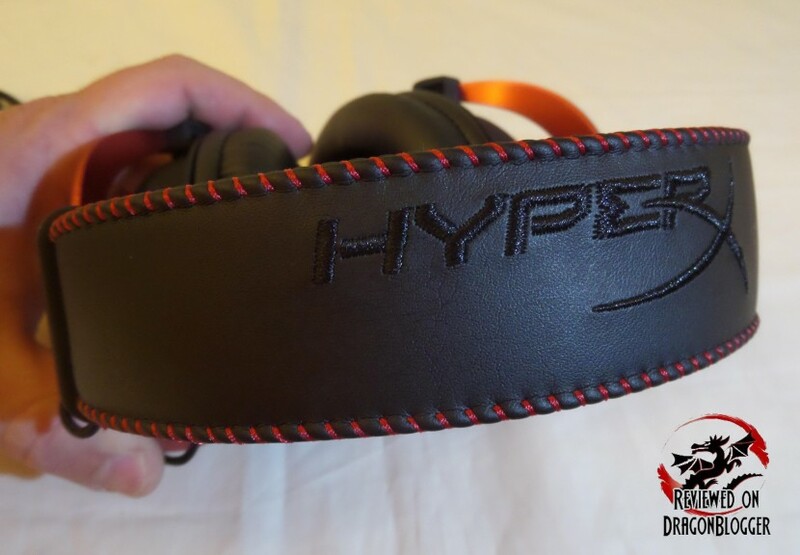 The sides of the head set is stitched in red and even has HyperX embroidered in black along the top, not something you would notice, but people walking around LAN parties would. Connecting the headphones to each other, you can see running down the aluminum brackets a braided cable, a very nice touch and allows the headphones to swivel. The aluminum brackets allow you to adjust the headphones to fit comfortably over your head. 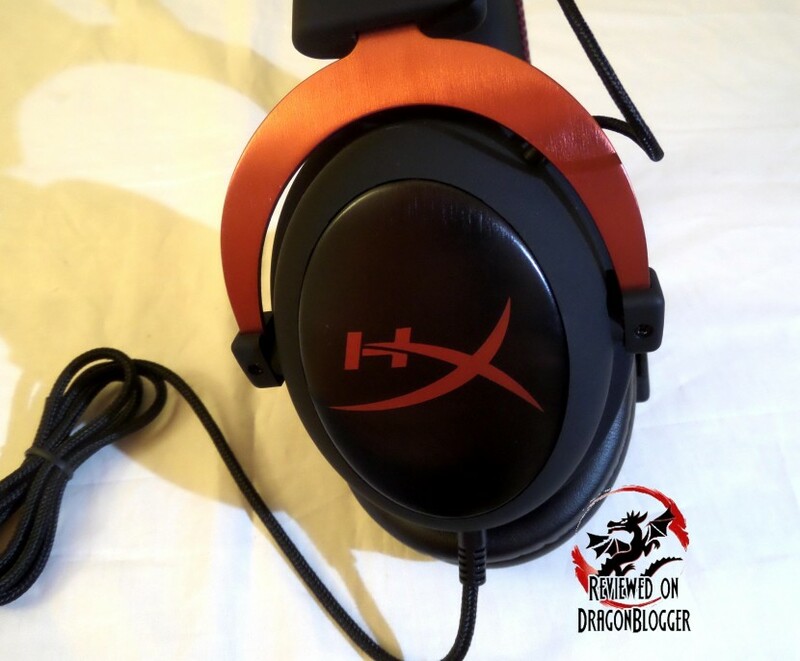 Down to the earcups, the portion with the HX written in red feels to be also be made out of aluminum, I love that cold feeling. Then surrounding the aluminum seems to be a rubberized black plastic holding the 53mm Neodymium drivers, feels like the rubberized coating on a mouse. Stretching the headphones a bit so that you can see the ear cup foam. The one with red is the foamy/plush feeling cushions and on the left, the black ones are a leatherette material. 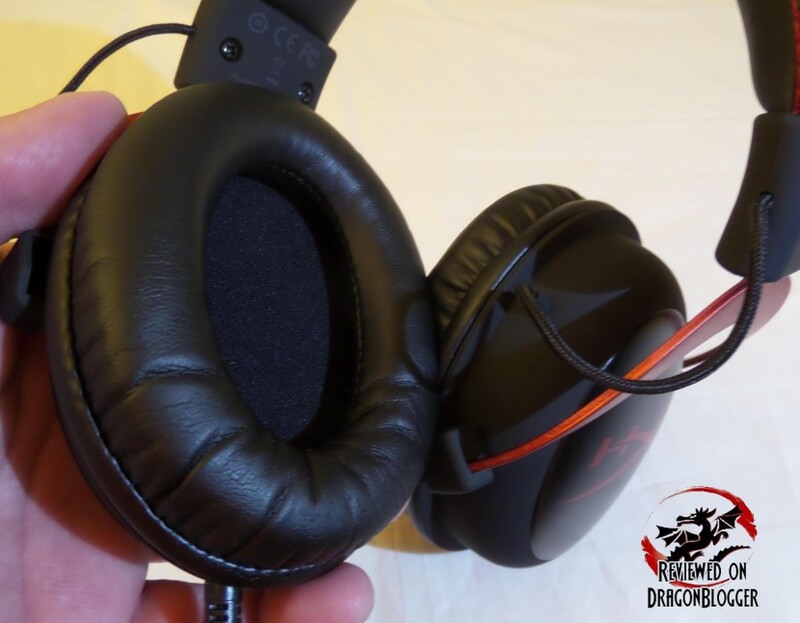 While the leatherette material looks cool and slick, after a few minutes of gaming, the skin around your ears starts the sweat, so I switched out both to the foamy/plush feeling cushions, they are very comfortable. 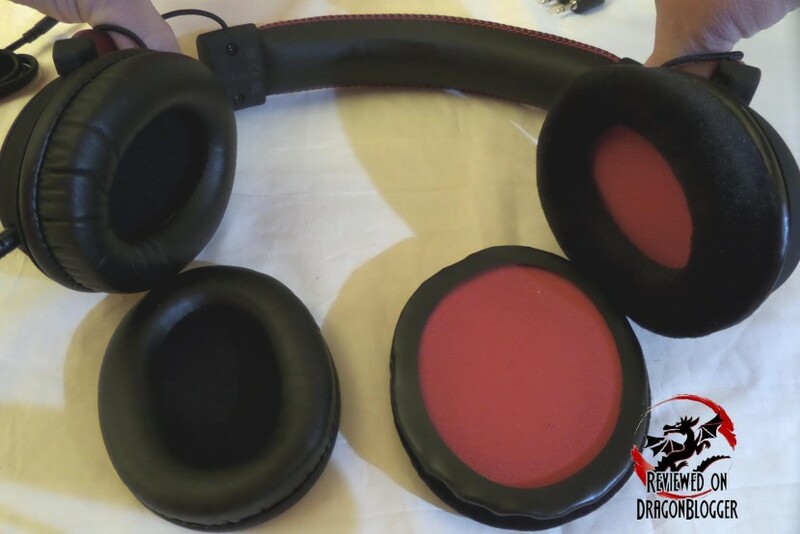 It brings a set of leatherette cushions for the earcups and foamy/plush cushions so you can swap them out at will. The headband holding the foam earcups together is also a leatherette cushy material, it makes the top of my head sweat a little, but the adjustable brackets helped me out a bit. If you have hair, it will not bother you; unfortunately I do not have that luxury. 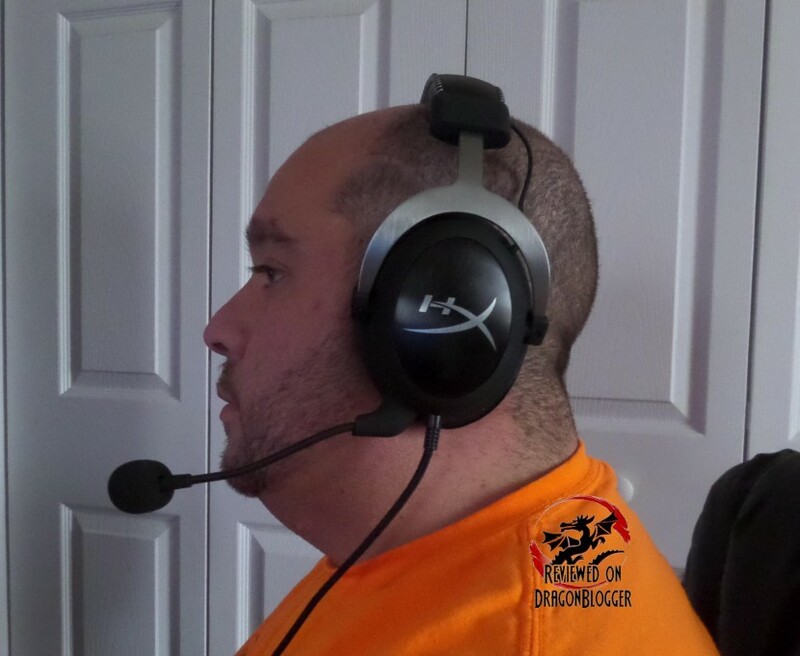 Again mentioning the earcups, I mentioned that they were circumaural, and yeah they covered my ears perfectly, maybe with a tiny room to spare. On the left earcup there is a little rubber peg that you pull back to reveal the hole to plug in the headphones. Then here it is connected. The microphone is adjustable through it adjustable arm although not 100%, still it is nice. Check out how it sounds. Sounds pretty good I think, for games you have a nice option and for Skype. 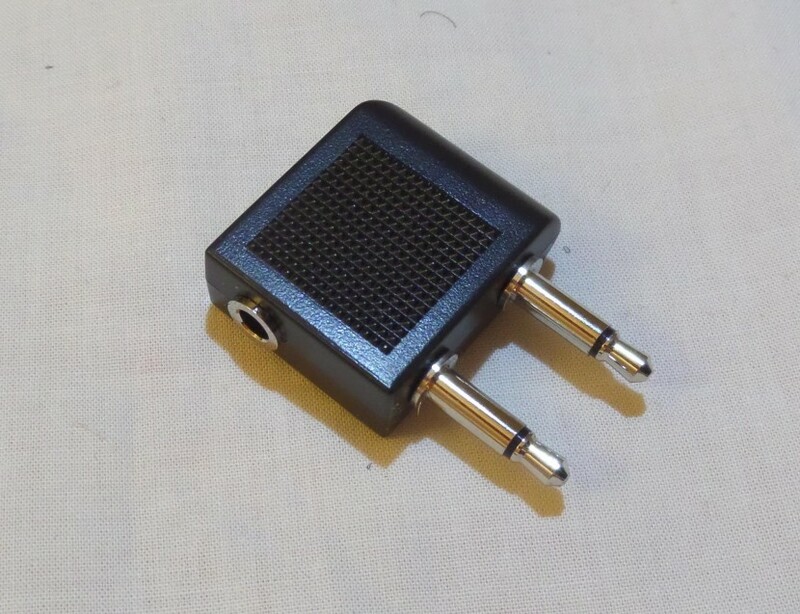 If you are looking to record some vocals you might be looking for another microphone, this is a basic microphone, please remember that. Going down the cable, we stop to take a look at the cable itself. 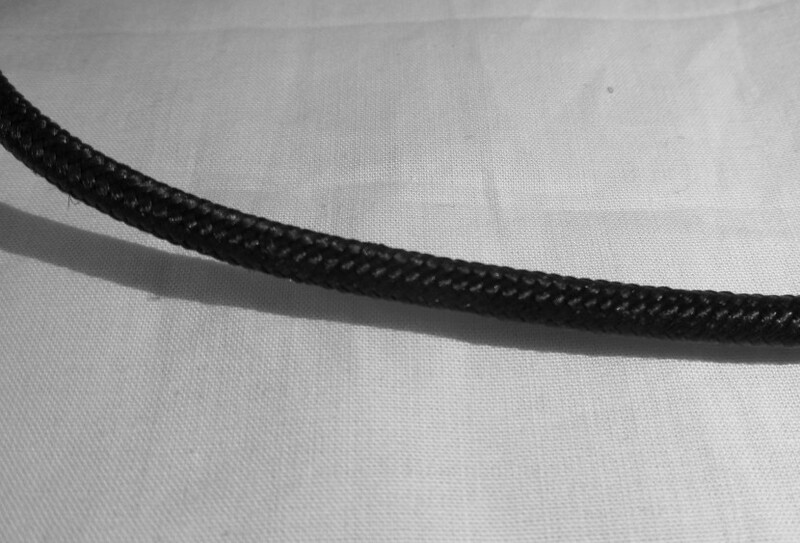 It is sheathed in a nice black sheathing. It feels very nice. 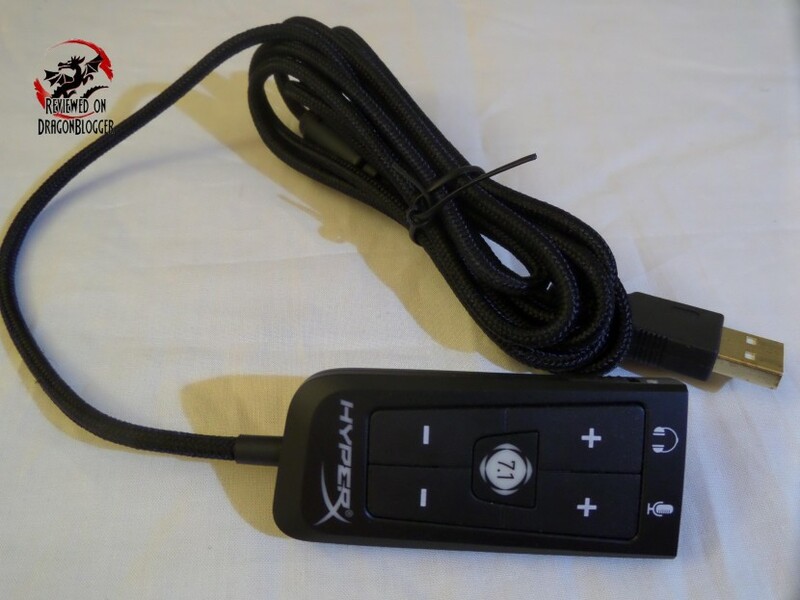 Then going down a bit more we find the end of the cable and a 3.5mm jack, this jack allows you to use it on the PS4, Xbox One, Mobile devices and through the Airplane adapter, which is included. But wait, I thought it was USB? Well, it is but it has to connect to the sound card… a sound card you say? This is where the 7.1 audio comes from, and then also where you can raise and lower the microphone and headphone sound levels as well as mute or unmute then Mic. The 7.1 virtual audio can be enabled or disabled by pressing the lit/unlit 7.1 text on the controller. It also has a clip to clip this onto your shirt or sleeve helping to get the cable out of the way when typing. From this sound card, it goes down to the USB port, so that’s how the USB comes into the picture. While we did get to the USB port, let’s disconnect this for a second and use on the 3.5mm on a console. I don’t have an Xbox One, but I do have a PS4, check out a bit of how this works on the PS4. I thought you couldn’t, but you actually can connect the USB portion of the headset to the PS4 as well, but only the 3.5mm into the controller, pick whichever is more comfortable to you. 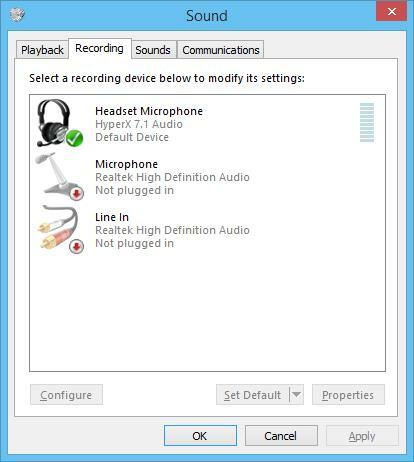 Both ways though means that you will have to adjust the volume through Sony’s Audio control panel, but the microphone can be muted from the USB sound card in Sony’s Audio control panel but not in game. The 7.1 can be used, but you have to enable it right when you turn on your PS4, if a game has been loaded, it cannot be loaded. Not the best but since it was not designed to use the USB portion it is cool that it can work as much as it does and you can get a little boost in audio quality with the 7.1 button. Since I don’t own an Xbox One, I cannot comment how well it would work, or if it would work at all through USB. 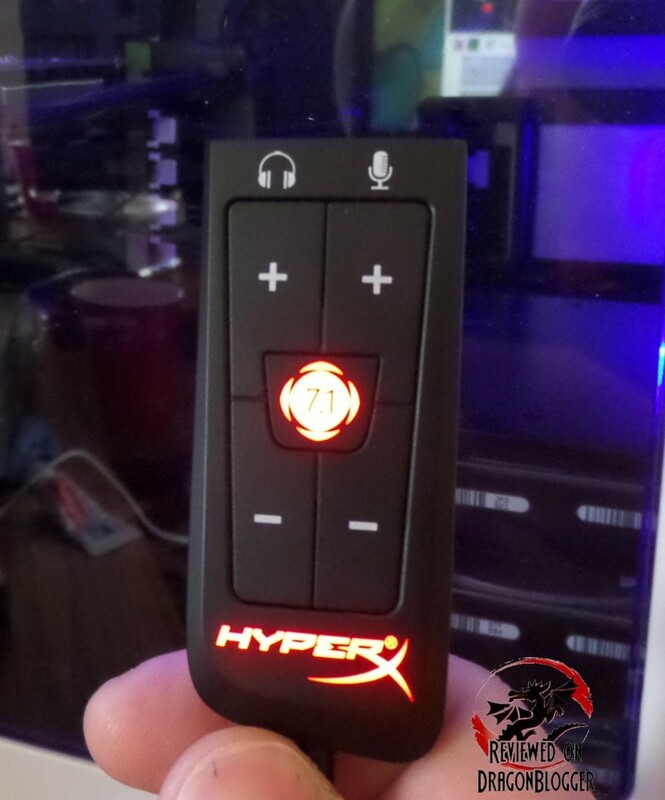 Regardless of USB, to connect it to the Xbox One you will need to purchase the Xbox One Stereo adapter, that’s not HyperX’s fault, that’s all MS. 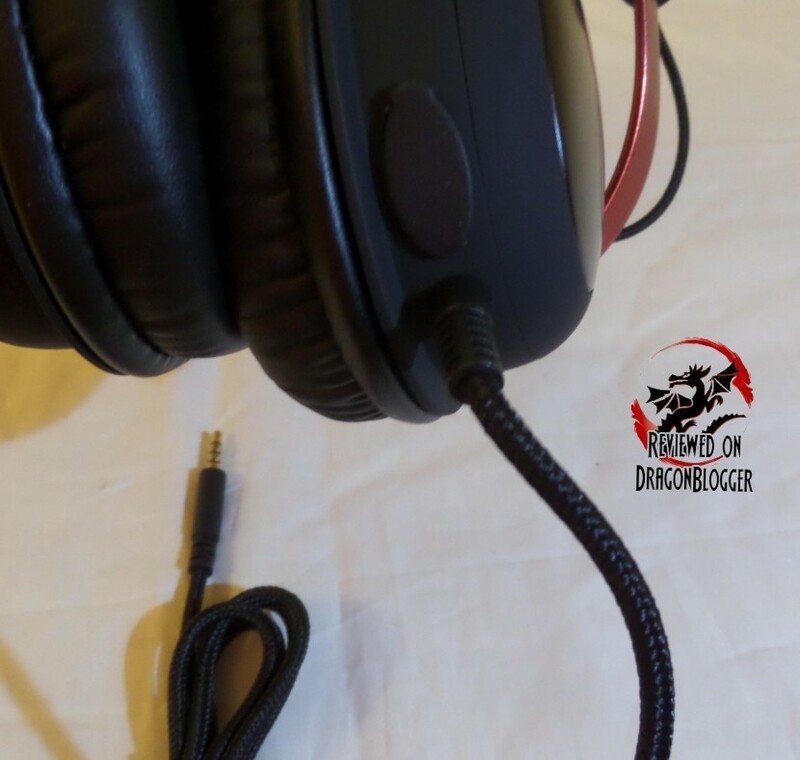 Regardless of all of this, this headphone is amazing because it will work on the PS4, Xbox One, PC, Mac and portable devices like your iphone, tablet, mp3 player (if they are still used) and all sorts of devices that use a 3.5mm connector and you don’t need to be separate headphones, you can save tons of money. So now going back to the PC, it states that there are no drivers to be installed and to be sure I checked out the support page and they also stated that there are no drivers, nice. Plugging it in though it seems to install a little bit, to be expected though, but it has it all the drivers I am sure within the sound card so you don’t actually have to install anything yourself at least. This makes the fact that you cannot connect the USB portion into the PS4 and Xbox One a little easier to understand, yes I know they are essentially PC’s, but it still makes sense. This flashes for a second or two after you plug it into the PC, I saw the same for Windows 8.1 and Windows 7. 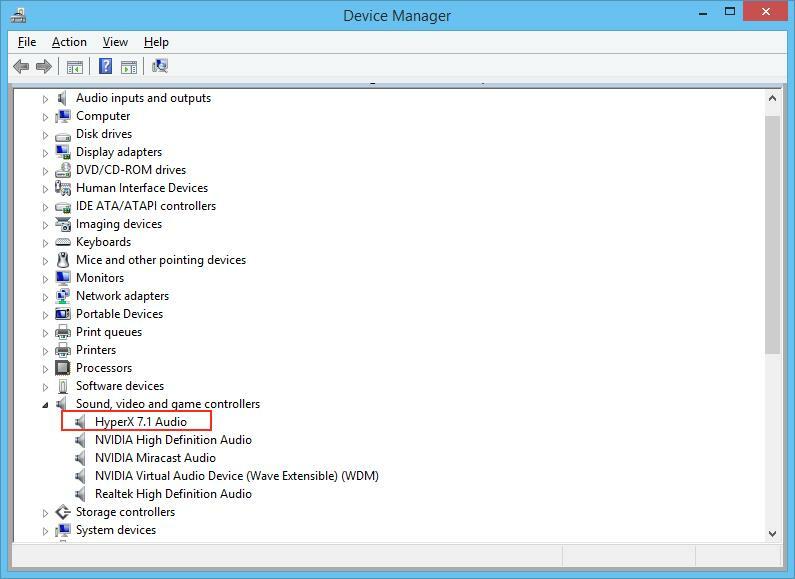 And it also shows up in the device manager, to be expected though. 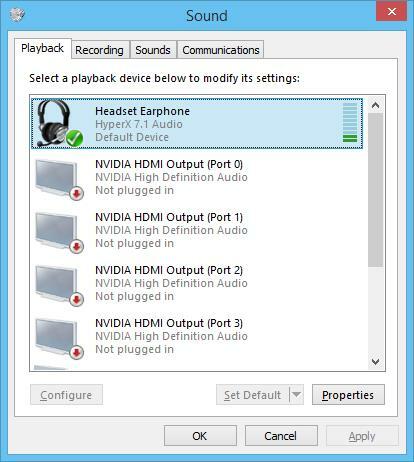 You do have to make sure to make this your default device under playback and Recording within the Sound panel. 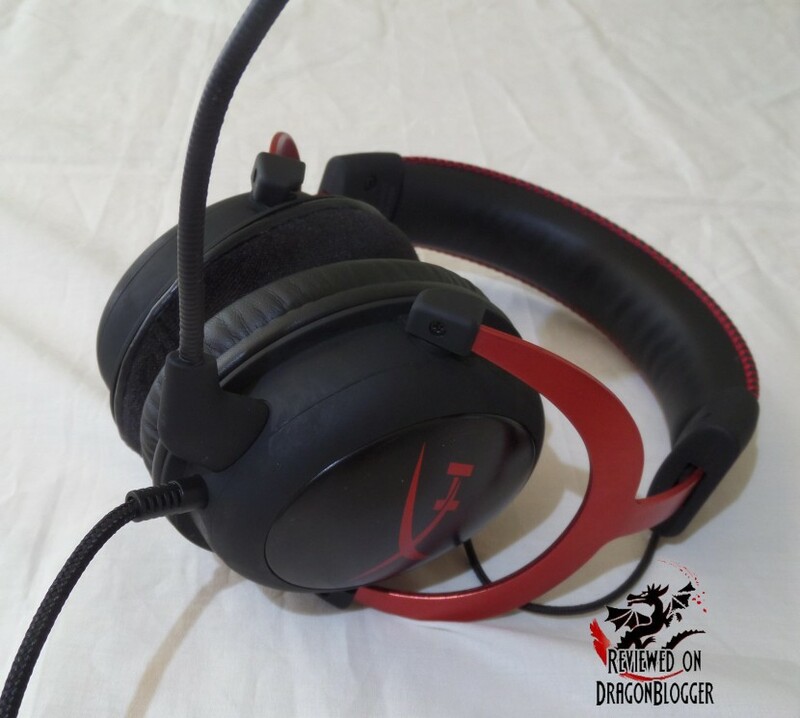 Afterwards, you are good to go to play some games, listen to some music or just hear all the bings within Facebook… I hope you can listen to some music and play some games. Game of choice of course was Battlefield 4, and starting off it just sounded OK. I noticed thought that the 7.1 button was not illuminated so I pressed it and things came to life. I could hear the choppers roaring by and jets rip the skies apart. 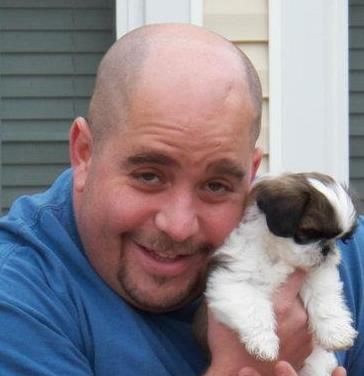 I could quickly tell where gun shots were coming from and felt the impulse from explosions. It feels a bit like cheating that I can hear people’s footsteps and know where they are coming from, but it’s OK, their end will be swift. I will say though, that the bass is not too heavy on these headphones, but the highs are very nice as are the mids, I could hear everything. I tried also with some of my MP3’s, listening to some Enter Sandman by Metallica that I just downloaded off of Amazon and it sounded great. 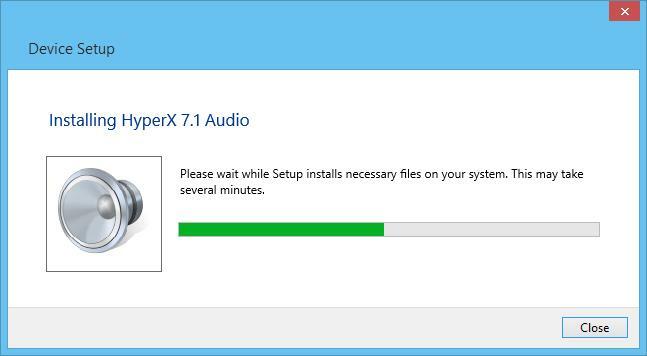 I had recently lost all of my MP3 so I wanted to redownload it, this time at a higher kbps, 263kbps to be exact. Without the 7.1 enabled, the audio was still nice but sounded a bit muffled, with 7.1 enabled it sounded more full and crisp as if they open to the door to the studio so that I could hear it better. The 7.1 amplifies the audio enabling the DSP, it was all an elaborate rouse, and I thought they let me in the studio when in fact the headphones just sounded better. To test how these headsets fared in movies I first tried Disney’s Frozen, and wow, the difference is amazing. There is a portion of the movie where Elsa is in her tower of ice and some guards come up stairs. A fight ensues and she starts chucking icicles at the guards, this portion of the movie is one of the best to test the 7.1 button. Without the 7.1 DSP audio, the movie seems so uneventful, but then just tap this little button and flat audio comes to life and you can hear the icicles materializing, sounds great. I tested also with John Wick, I had to run to RedBox to rent it since I felt a little odd only having kids movies, but hey, I have kids. Towards the beginning of John Wick, there is a scene where they are at a cemetery and it is raining. With the 7.1 disabled it sounds like your faucet is running, but with the 7.1 enabled, you can actually hear rain drops hitting the umbrella’s and dripping down the tombstones, it really does fill out the audio nicely. 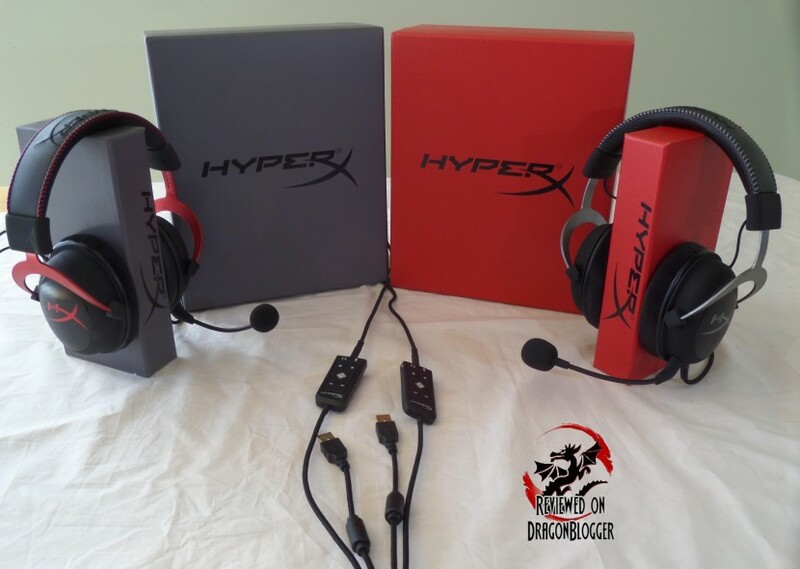 I was lucky enough to get a Gun Metal Gray and black set and a red and black set to test with, and of course both sound great, just HyperX giving you some options. 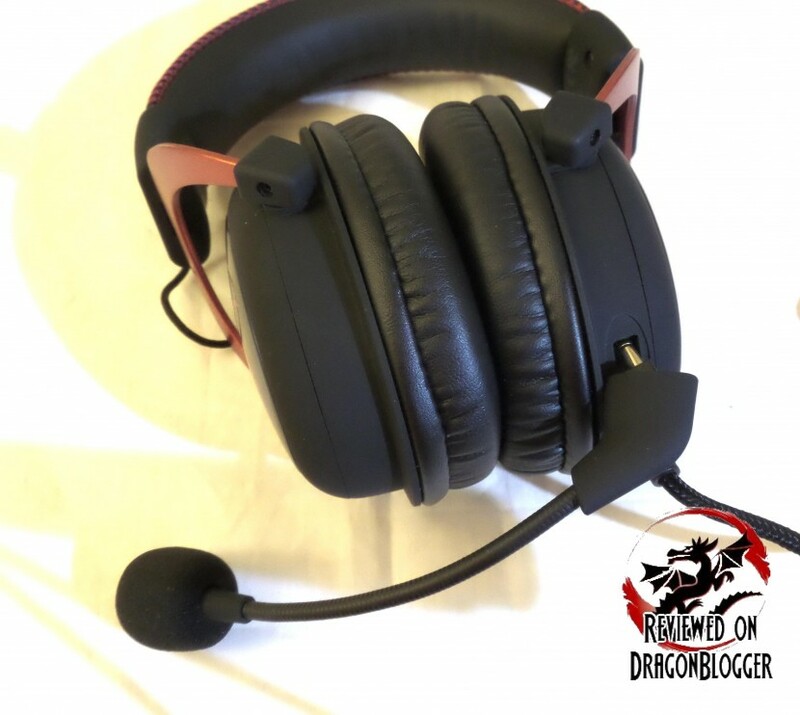 All and all I cannot complain about this headset, while I find the $99.99 a little high because I am cheap, the price makes sense. You can play it on anything that can take a 3.5mm jack and most things that can take a USB jack, see how much money you have saved? It works on a PC and a Mac, so it’s not PC specific like many things are which is a nice feature. 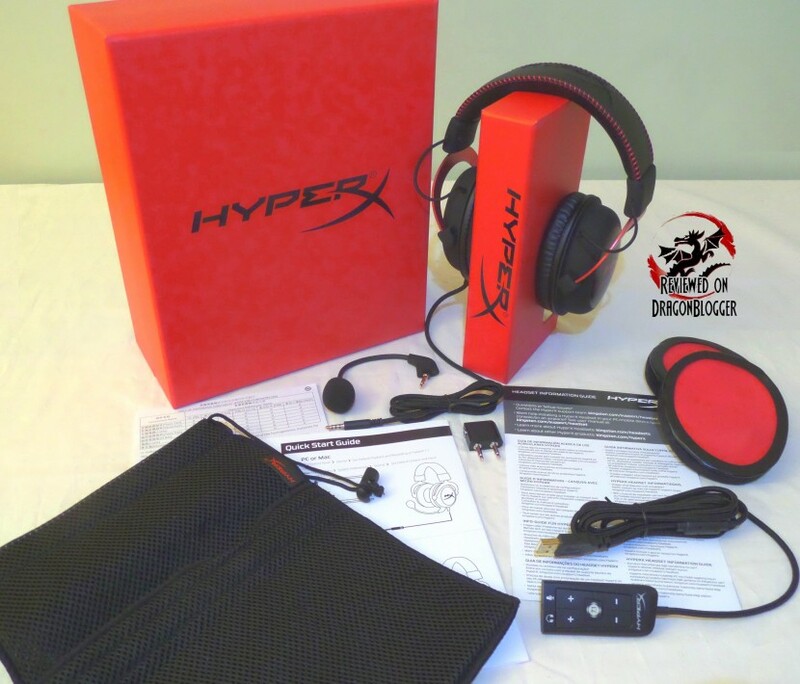 They even went as far to make sure you could connect these in an airplane and made it even easier by including a carrying case, now who does that… HyperX, that’s who. I give this an astounding 5 out of 5 stars and I would highly recommend getting these.